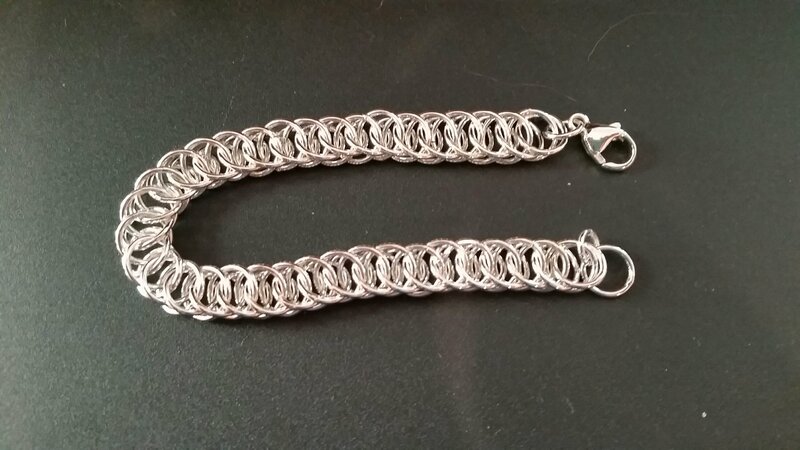 I finished the Columbus Chain bracelet, and I’m really pleased with the way it looks. I’m also really pleased with how much my pick soldering skills improved as a result from doing all those links. Today was much better than yesterday: cleaner and faster. So much of this work is muscle memory together with hand-eye coordination. This entry was posted in Art, Metal and tagged 100 Days of Metal, Bracelets, Chains, Silver, Sterling silver. Bookmark the permalink.